So you've decided to go for a Lynnfield system? You've read the CPU performance data, dived through the P55 motherboard reviews and decided your old system could use a refresh - after all, you can get SLI or CrossFire now and Windows 7 with DirectX 11 is out. 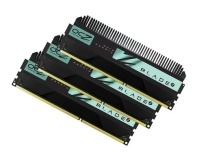 But, you've been using DDR2 since the AM2 socket arrived, so you finally need to invest in some DDR3 memory! But, what type? High speed, low latency or both? 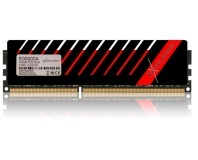 You'll have noticed a significant lack of memory reviews here on bit-tech, or even if you read Custom PC magazine. Truth be told, not many of you read them and they take ages to write, so we stopped doing them. 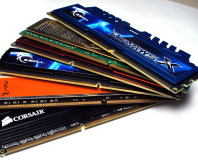 Memory is boring after all and that is why we're doing this feature - it's not to tell you how Lynnfield compares to triple channel Core i7, or popular Core 2 and DDR2, for that you need to read our CPU performance article - it's to inform you of what the memory differences are within the Lynnfield platform. With that, you'll be better informed for future purchasing decisions. Because memory prices change on a daily basis, it means you can either go to your favourite manufacturer or just find the cheapest kit that suits your needs. We've included a dozen kits from as many manufacturers on the next few pages to whet your whistle, and to keep in mind there's more than just three or four popular brands out there. We've used the same set of benchmarks and same CPU speed to give a uniform base, so the difference can be easily seen, however due to the limitations of memory straps within the Lynnfield CPUs, we've had to split the tested speeds down the middle: 1,600MHz and 2,000MHz at a 200MHz base clock, and 1,800MHz and 2,160MHz at 180MHz base clock. We've not tested absolutely every iteration of memory out there, but we have covered a nominal 1,600MHz CL9 to the super high-end 2,160MHz CL8. Intel Core i7-870 - 4(8) x 3,600MHz - Hyperthreading Enabled, TurboBoost Disabled.